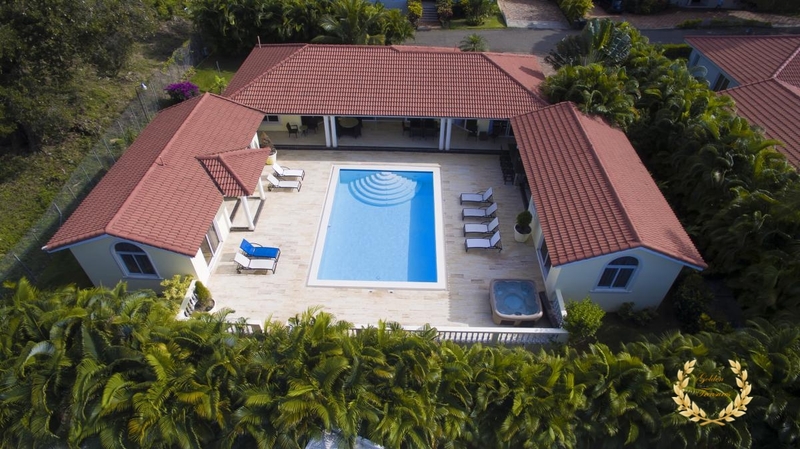 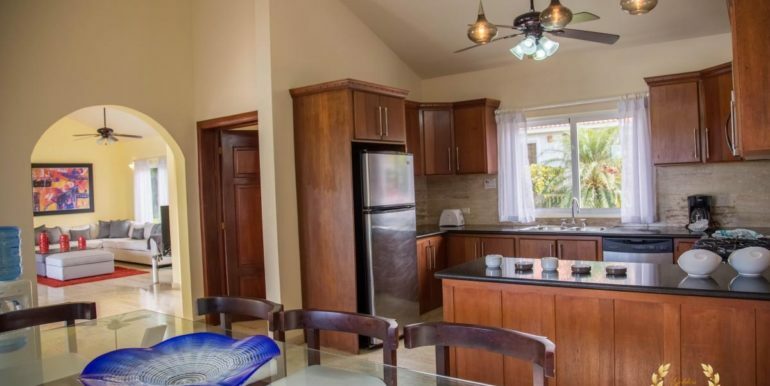 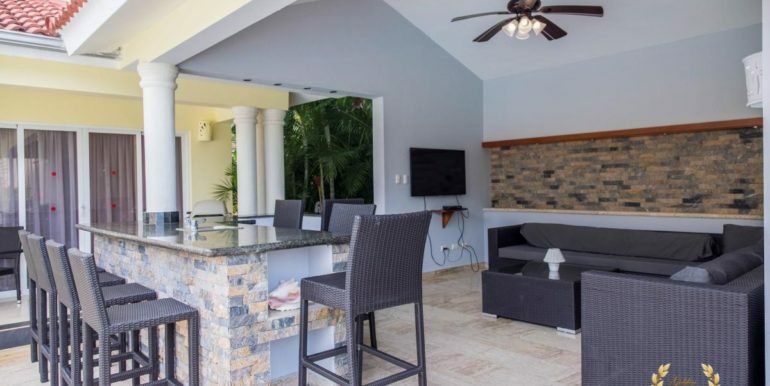 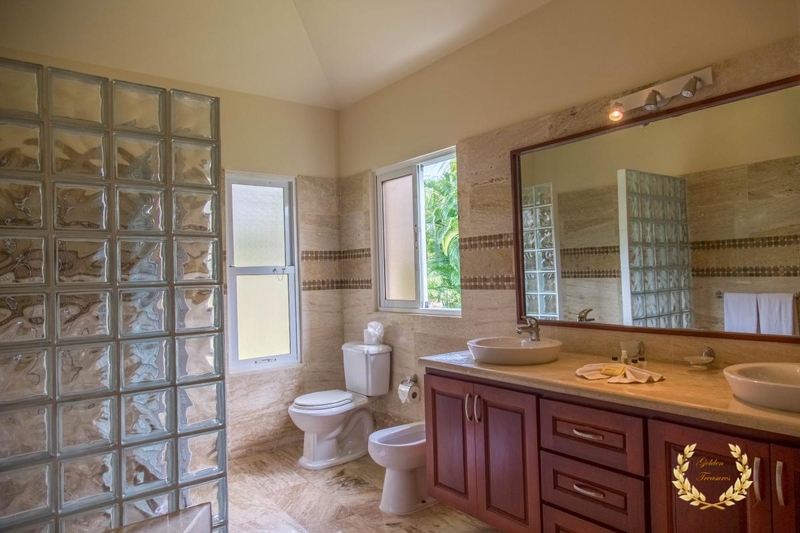 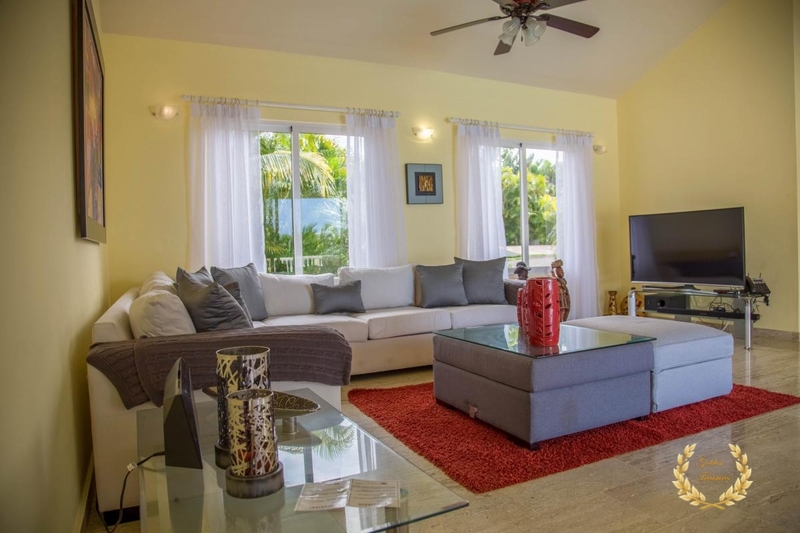 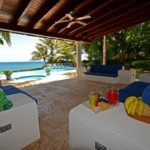 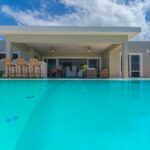 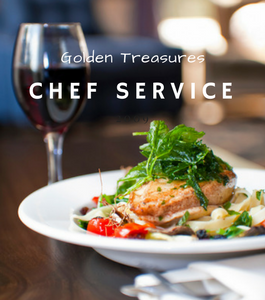 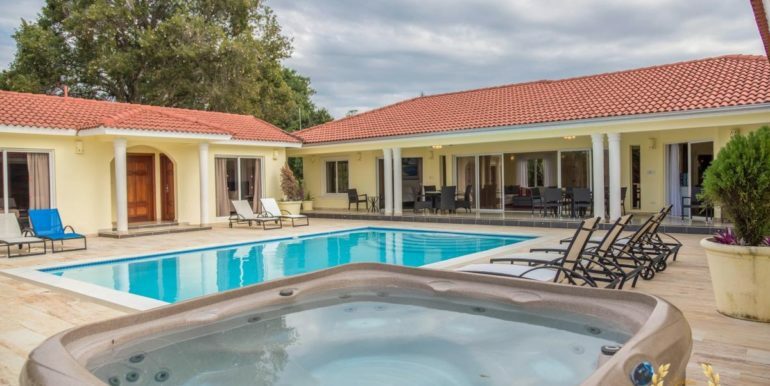 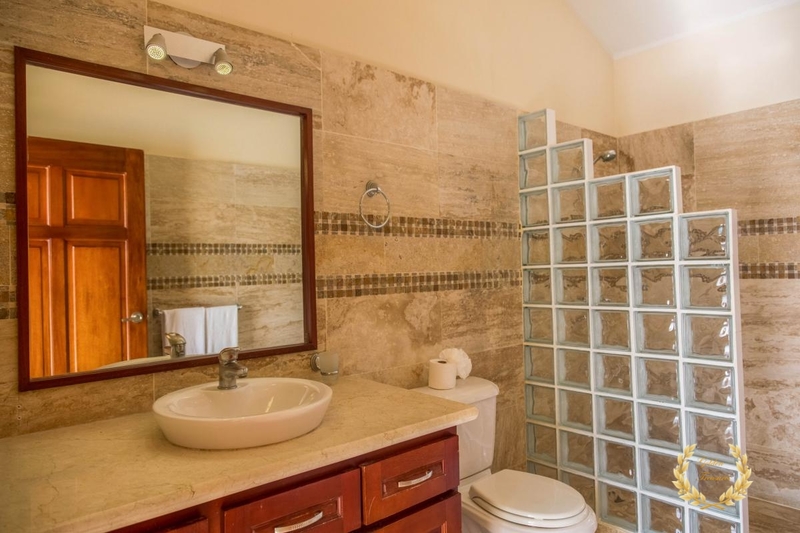 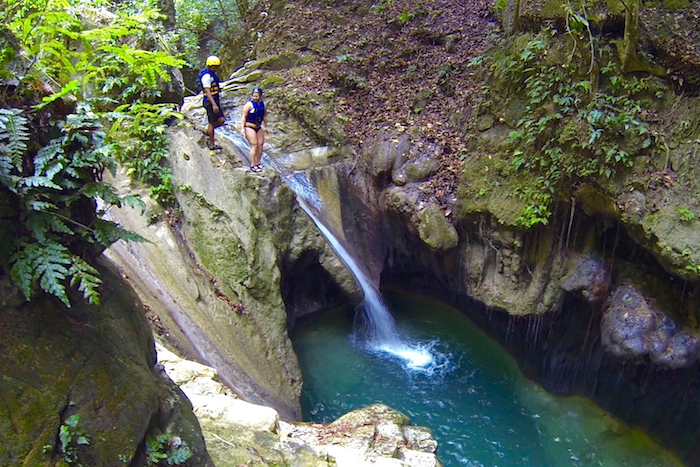 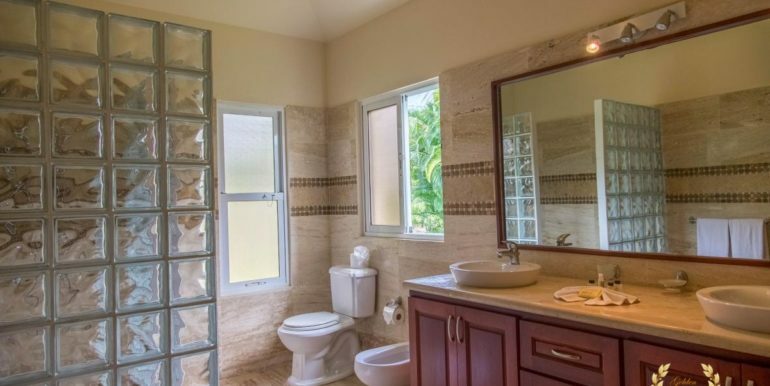 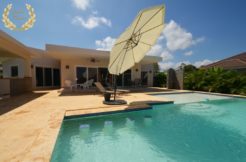 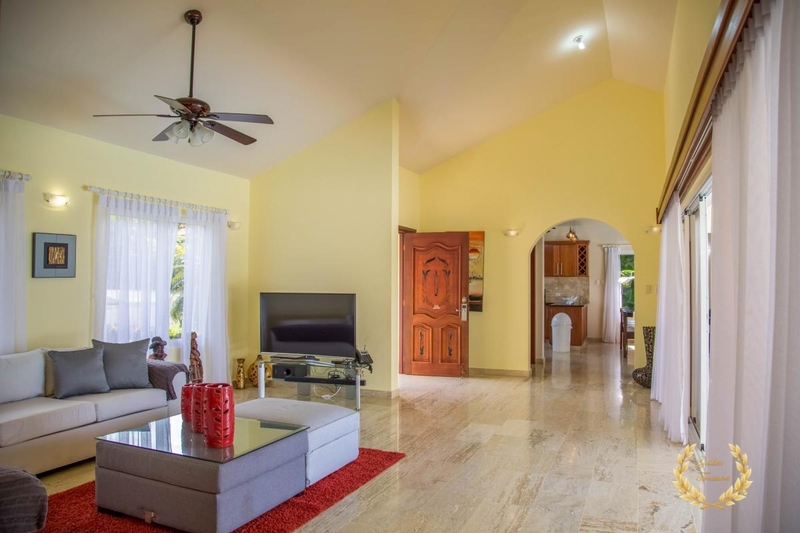 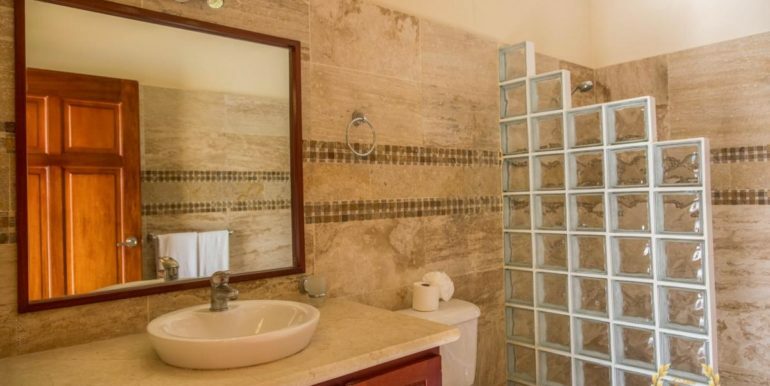 Thinking of booking a vacation villa in Sosua? 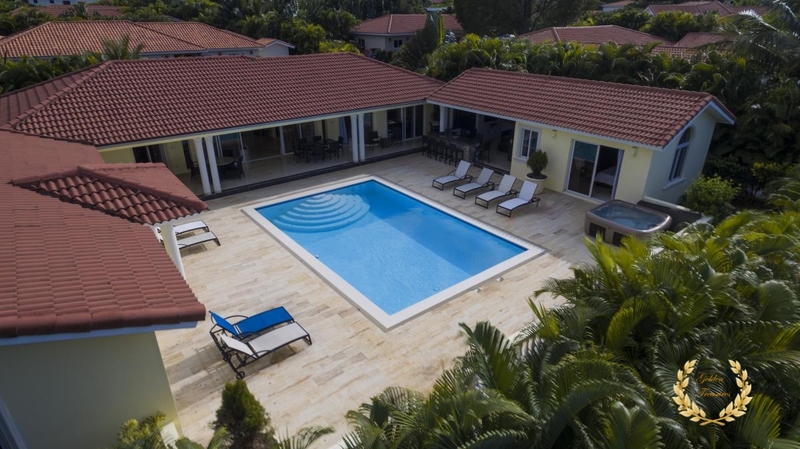 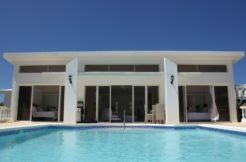 this villa Ultima is a brand new luxury rental that boasts a high end look like no other, featuring an exquisite swimming pool with vertical jet system and infinity overflow, facing the bedrooms by the pool area. 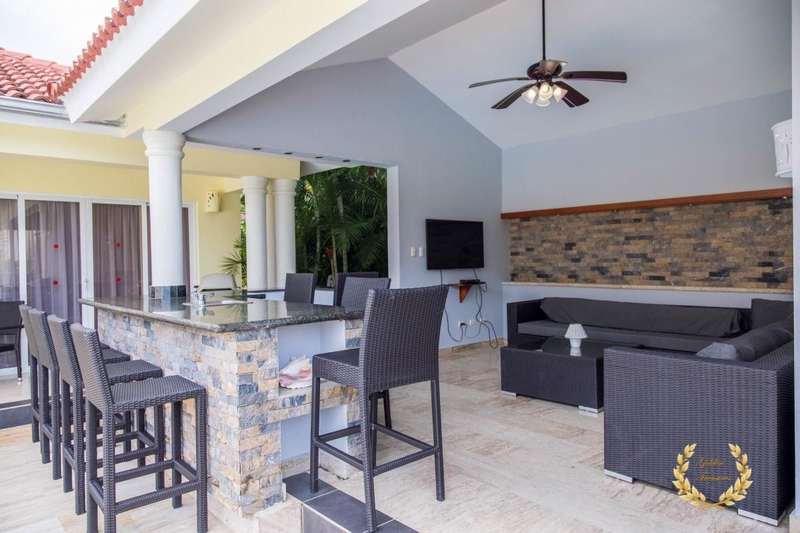 Finely decorated as seen in the photos, with stereo system that includes iPod docking, flat screen TV in the living room, LED lighting surrounding the pool area and garden areas. 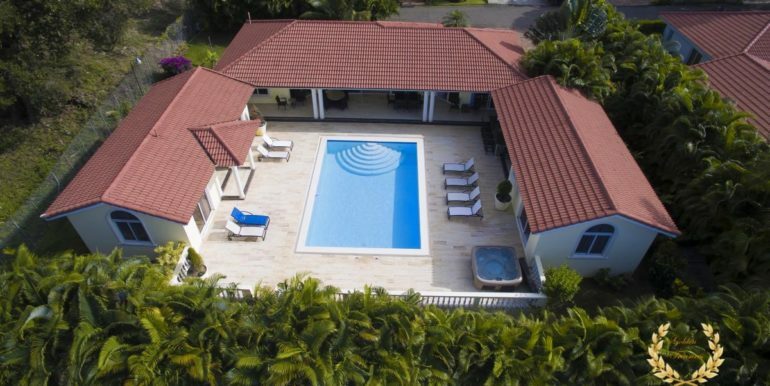 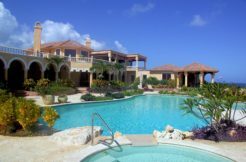 The villa Ultima model is one of the most demanded since its introduction, due to its excellent configuration that allows panoramic vistas from all the bedrooms surrounding the pool and entertainment areas. 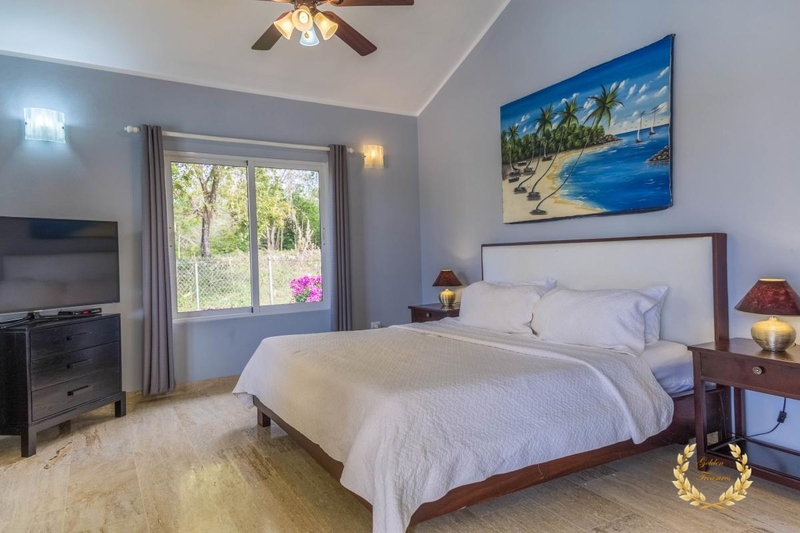 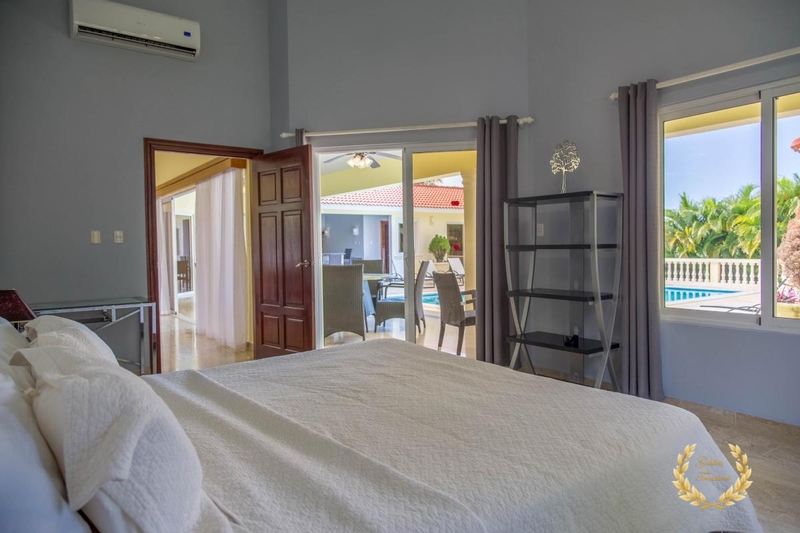 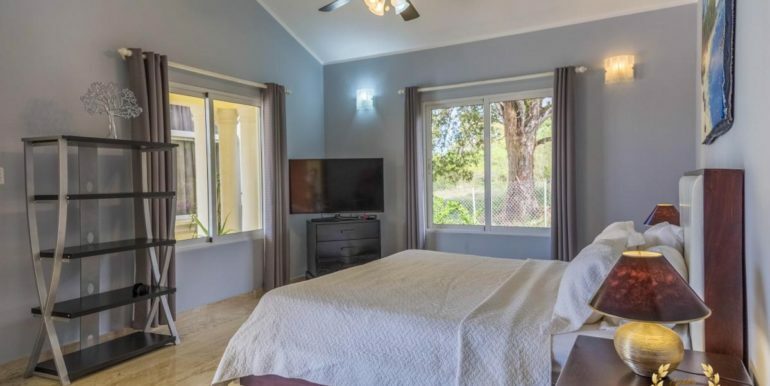 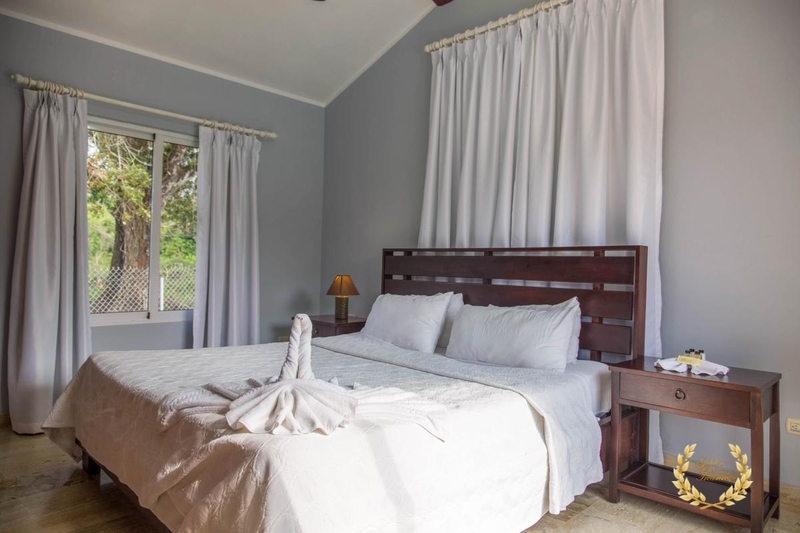 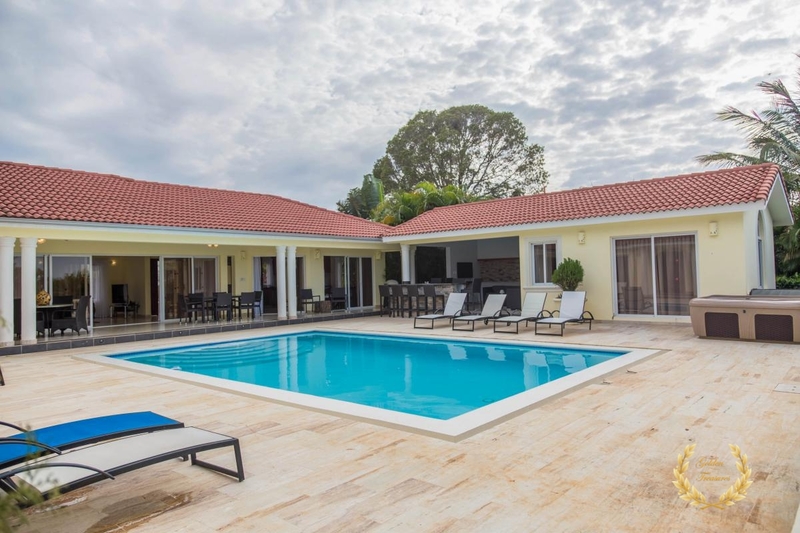 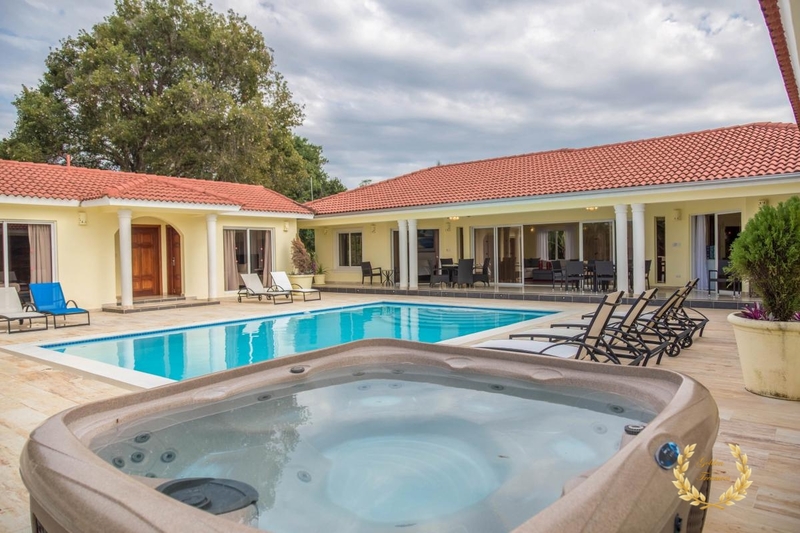 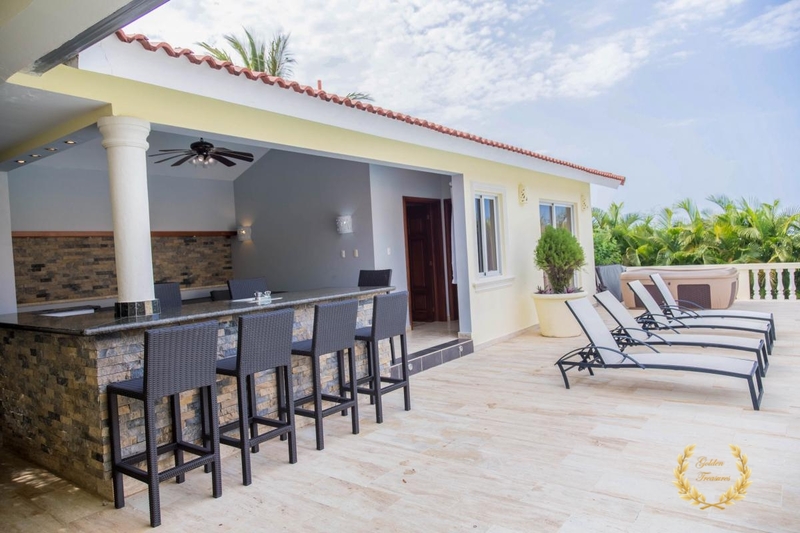 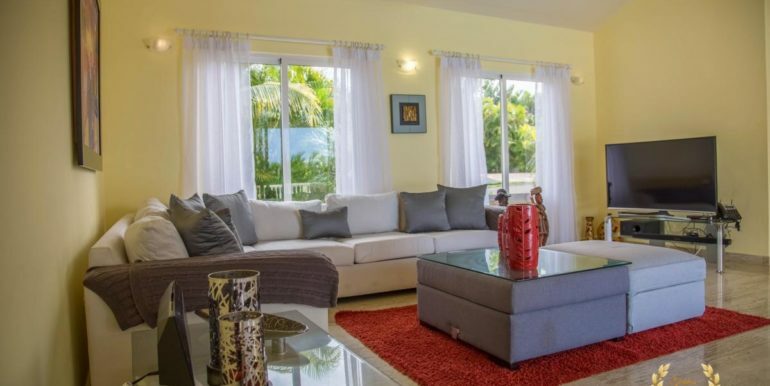 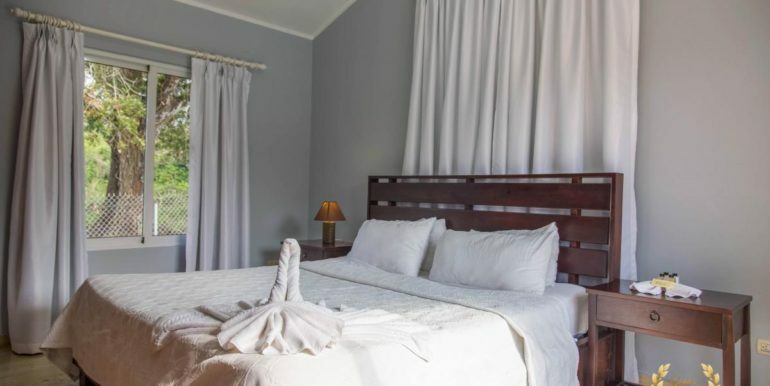 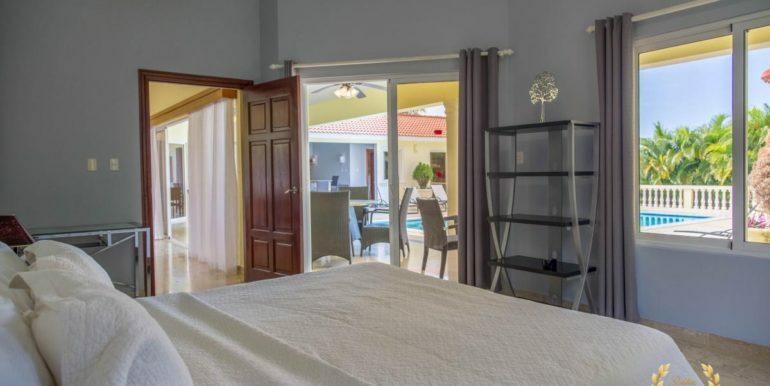 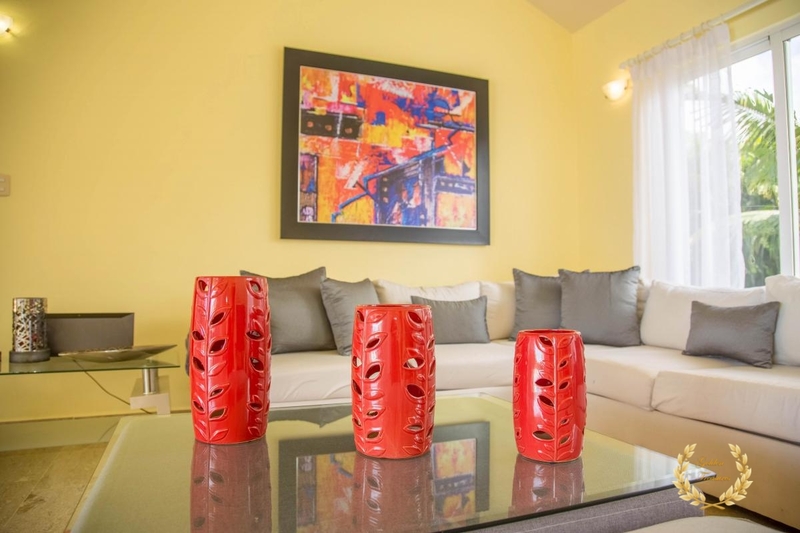 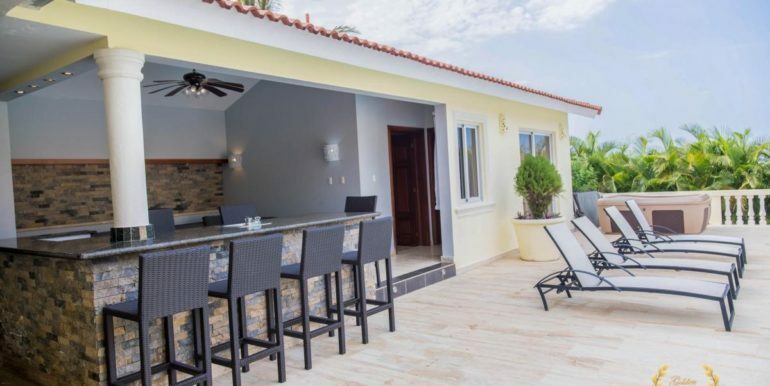 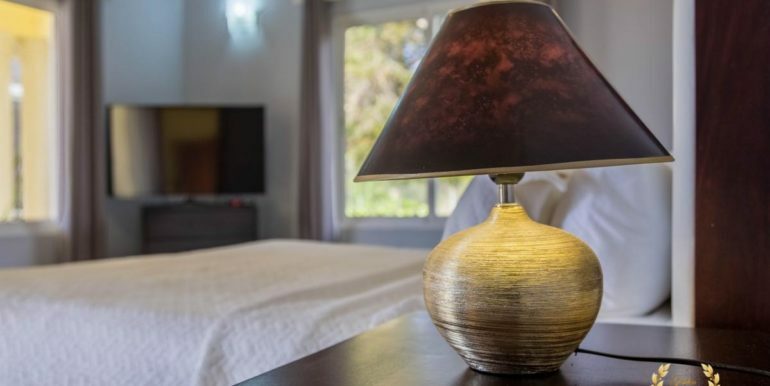 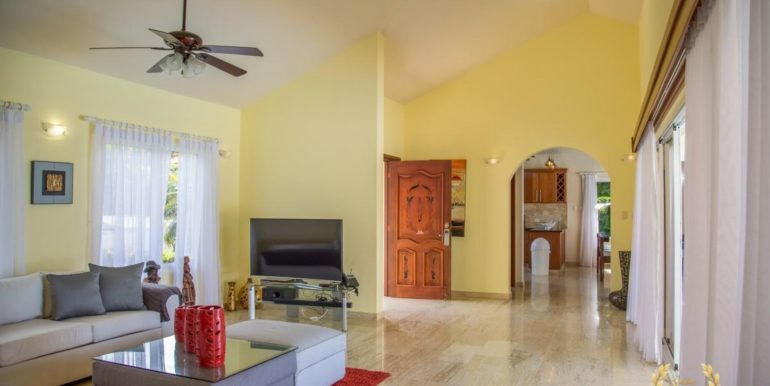 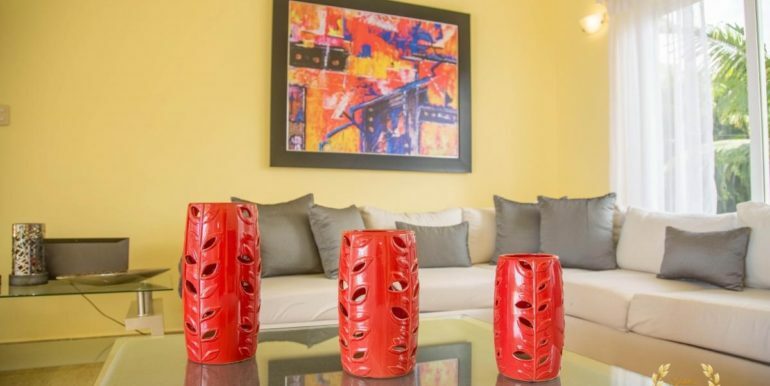 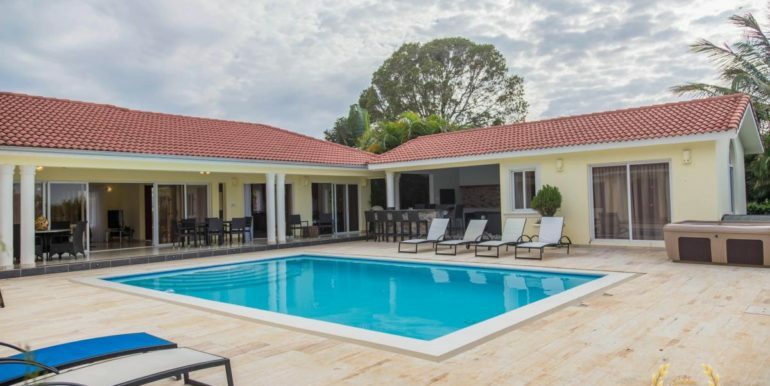 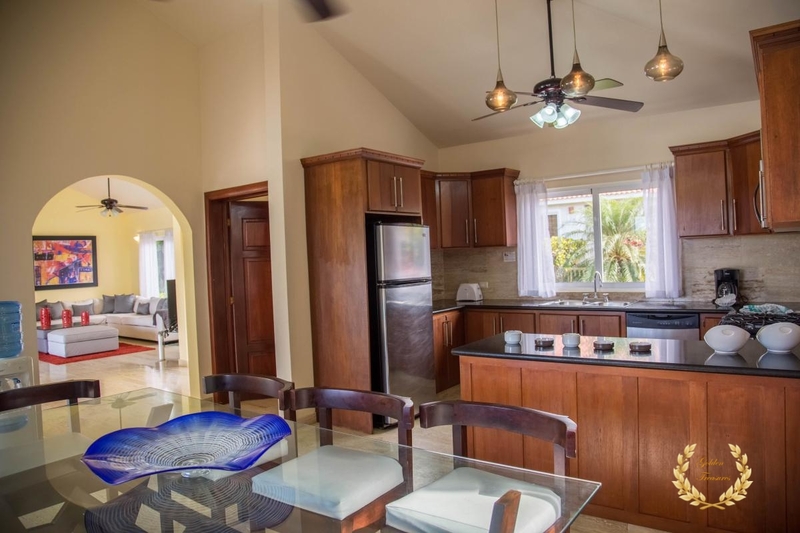 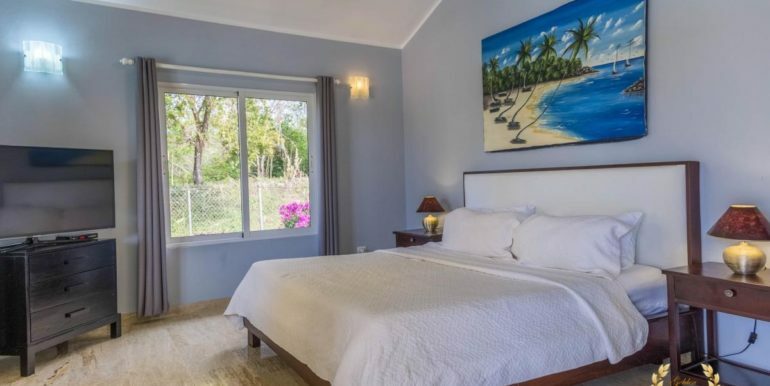 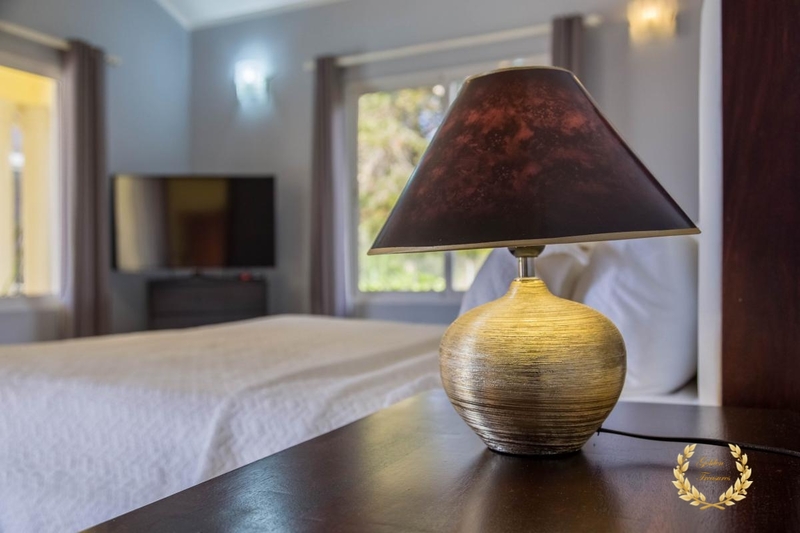 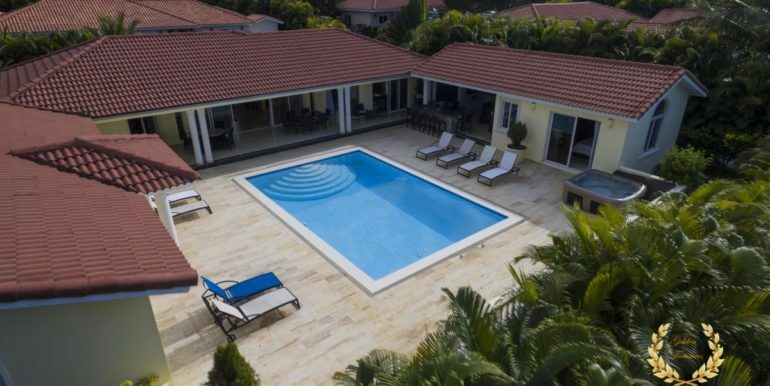 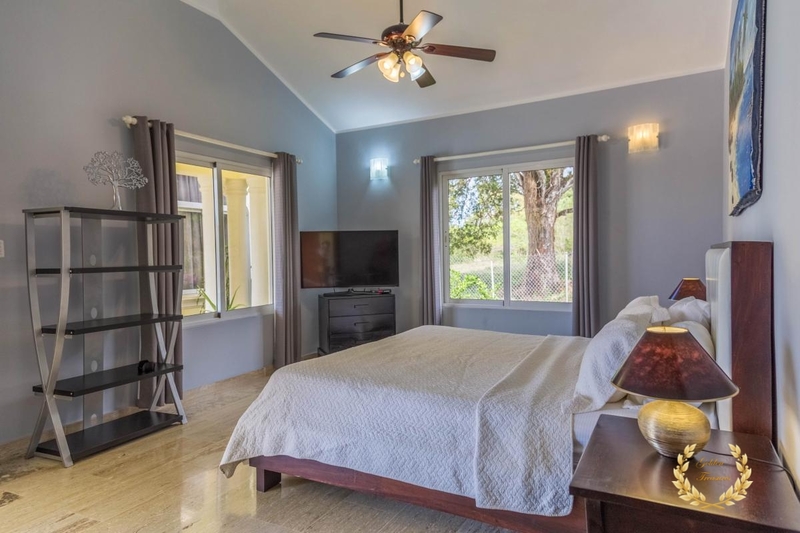 We can rent 2 villas facing each other and provide 8 bedrooms for 16 people, making it an ideal choice for groups or families traveling together.